Reference tags 2 [SPRT-0002] that we will present with this set are only 1 copies left now. 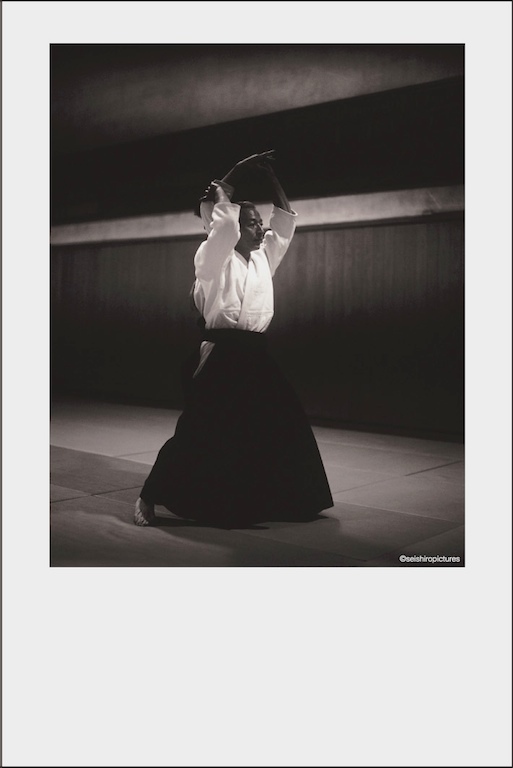 "Stillness and Movement as One and Two-Attacker Practice"
We will ship this item by Registered Air Mail for free of charge. (Tracking service is available)Please select 'Regular AirMail Shipping' on the shipping method page if you wish to ship by 'Registered Air Mail (free of charge)'. Tracking service is available. Insurance included. For some countries and areas, EMS is limited to certain areas. Please click to check. "My great satisfaction with the content of this DVD set"
Not having the chance to be able to attend a seminar with Endo Sensei, I have discovered in this set his incredible pedagogy and felt his huge Aikido mastery. "PROBABLY THE BEST APPROACH TO ENDO SENSEI´S WORK"
I bought Way-Mastery´s DVDs some time ago and everytime, when I watch them, I feel amazed because of the way they have been produced. They are probably not only the best approach to Endo Sensei´s work (If you are not able to attend his seminars) but also one of the best videos on Aikido you can ever find. The quality of the product, the pictures, the colours, the textures, the angles of filming, the texts, the silences, the reflections……the way Endo Sensei´s message is kept , cared and transmited. Every detail has been treated very carefully. Thus, the final result is not only beautiful but also 100% coherent. Besides, I would like to highlight that Way-Mastery not only offers probably one of the best products on aikido available by a very reasonable price but also provides an excellent customer care service. They are very respectful, flexible, fast, efficient and reliable. It is because all of these reasons that I highly recommend Way-Mastery´s products. You won´t feel disappointed. "We have never found any material like this"
Your work is really appreciated and recognized. We wanted you to know that we are amazed with your job. We are used to buy Aikido and other martial arts DVDs from a lot of places, and we have never found any material like this. Really, congratulations. My husband is very grateful for all the knowledge that Endo Sensei is carefully transmitting. Through those DVDs he is having the chance to know about and learn a lot with Endo Sensei. "Really helped to take our Aikido to a new level"
The Way-Mastery series has really helped to take our Aikido to a new level. I have done martial arts for over 50 years and taught Aikido for over ten years. Watching this series has given us new insights as to how we practice Aikido. Some of the things we have just been doing already because it worked best for us. Other movements were more subtle and until watching the series we were not aware that we were doing the same thing or something similar. Now that we have gained this awareness it will improve our practice. I have purchased other DVD's but these are superior. They are a must for every serious practioner of Aikido. I have purchased all of Endo Shihan’s DVDs. As I live in the Kansai area, I can attend Endo Sensei’s practice sessions only in workshops, and the number of those is limited; so, these DVDs are useful. They are useful for a grasp of one’s position relative to one’s partner, and for “getting” the timing, burning the images into one’s brain by watching them again and again. However, when partners have met and touched, as for what kind of power flow awakens at the point of contact, there is a difference between what one imagines from watching a DVD and what one experiences in reality; so, as for that point, I think that there is nothing for it but to attend workshops as much as possible. To return to the content: there are places where I think, “Eh? It shows and explains even so deep a thing as that?” But Endo Sensei has no intention of hiding anything, and there are many things which one cannot understand just by seeing them, so I think that it is probably good. As one of Endo Shihan’s admirers, I look forward to more of his DVDs in the future.